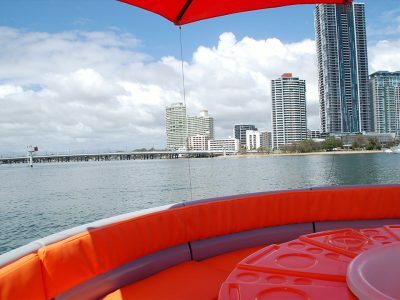 With our BBQ boat hire on the Gold Coast, you experience the wonder of our waterways aboard your own luxury Coaster. 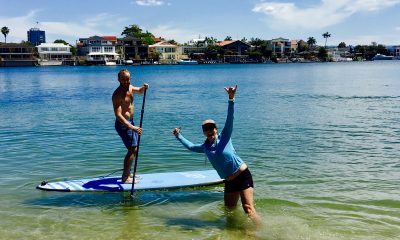 The most exciting and relaxing experience on the Gold Coast Waterways. 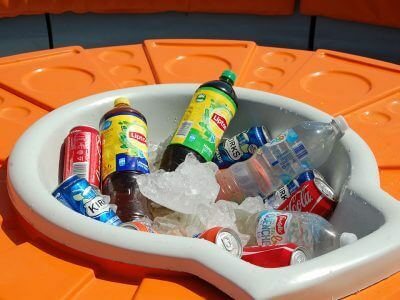 Our Coasters are the best boat rental on the Gold Coast, letting you coast the Gold Coast in a BBQ Boat which features a large table with central ice tray or BBQ Station, Bluetooth speaker system, LED lighting, a shade sail umbrella, and surrounded by comfortable seating for up to 10 people. We have three luxury boats in the fleet and can entertain up to 30 passengers at one time, so feel free to book one boat or the entire fleet. Call us to discuss the discount options for a full fleet booking. Our Gold Coast BBQ boat hires are self-drive, with a 5hp Mercury outboard motor that allows you to be the skipper. No boat licence needed for our boats. 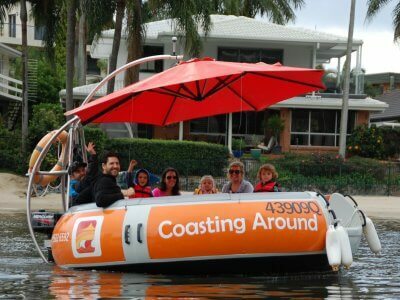 If you are looking for a great day out with your friends and family or a large group looking for a chance to relax and enjoy something different, Coasting Around BBQ boat hires are the perfect option. Make sure to book early to secure your cruise date. Bookings can be made for private daily cruises departing from 9 am to 5 pm. The Round Boat allows us to fill the centre of the table with an ice-station or add The BBQ Station with charcoal fire on request. There is a Bluetooth Speaker onboard (play your own music) and large shade umbrella provided for your comfort. Alcohol is permitted (BYO), one person must be the designated driver, under 0.05. BYO or choose from a catering package from a selection of local suppliers, available on request. Got Questions? Feel free to ring us on 07 5522 6592. Would you like to book? Reserve your cruise today! Got a question? Check our FAQ's section, if not we are happy to answer if you call us. . 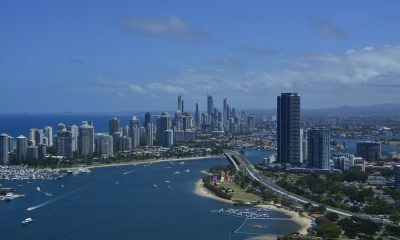 Experience the spectacular Gold Coast waterways with comfort and fun! 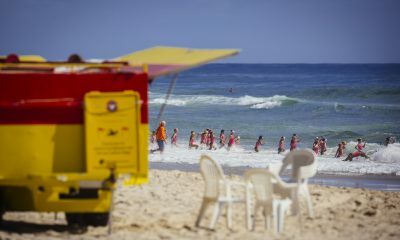 "This was definitely a highlight to our holiday!" "Excellent views around the waters and perfect for a picnic." "Amazing time travelling around Mariners Cove"
"Unique experience driving the boat"
"Perfect setup with all of us sitting around"
"Great way to tour the waterways"